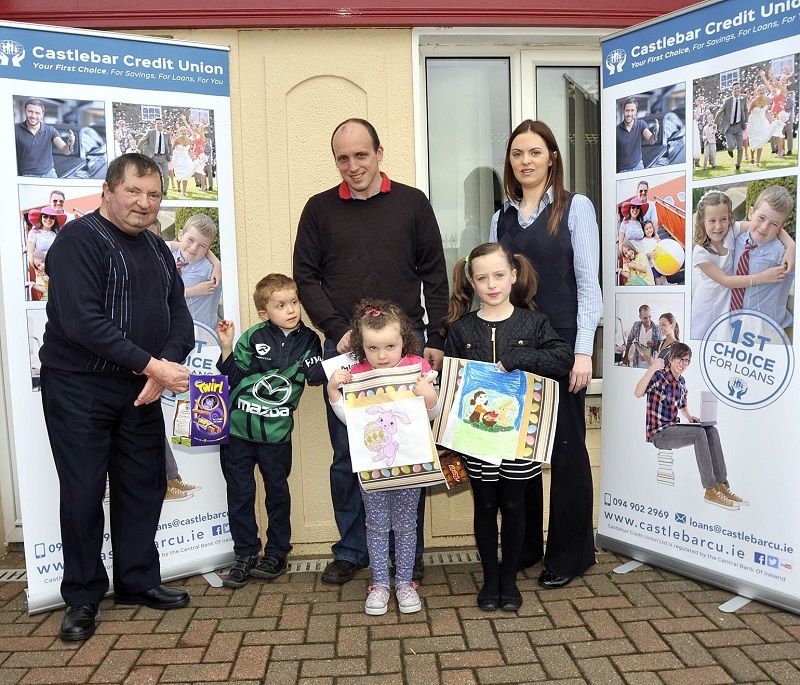 Castlebar Credit Union Easter Colouring competition presentations, 7 & under category, l-r; Mike Murray, Education Committee, Dylan Mulchrone, 1st place, David Mulchrone, Emma Mulchrone, Helen Murrihy and Paula Sheridan, Credit Union. Photo © Ken Wright Photography 2015. 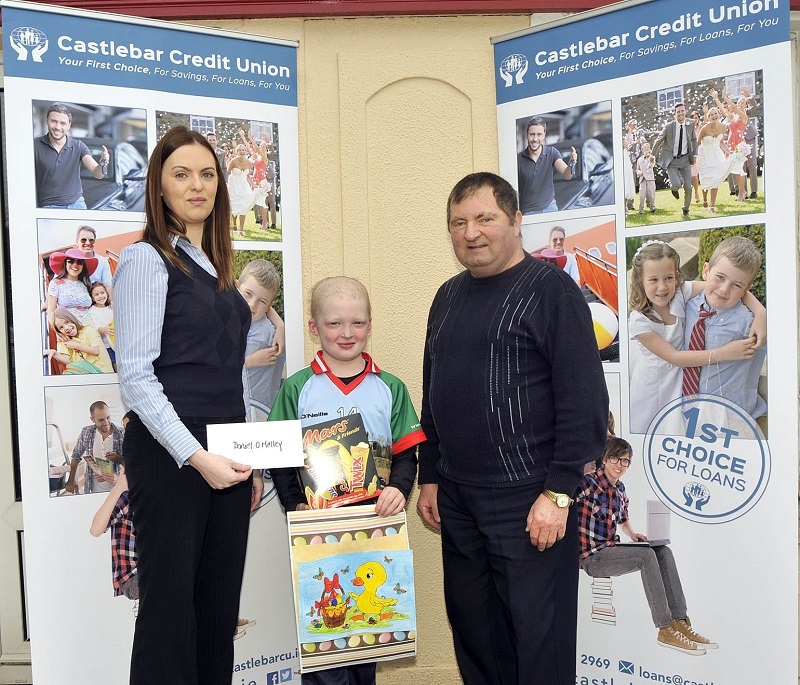 Castlebar Credit Union Easter Colouring competition presentations, 7 & under category, l-r; Paula Sheridan, Credit Union, Daniel O’Malley 1st place and Mike Murray, Education Committee. Missing from photo Niall Mellett 2nd place. Photo © Ken Wright Photography 2015. 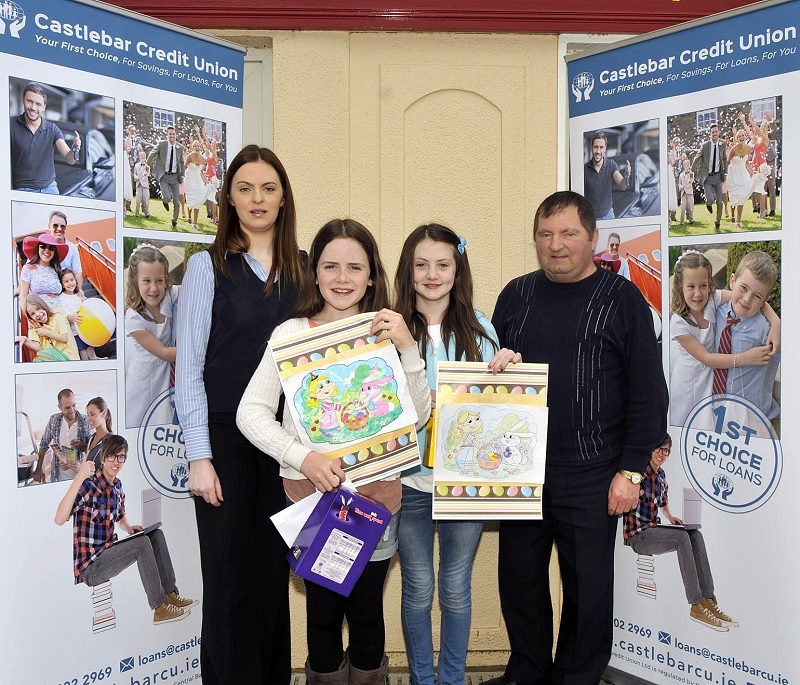 Castlebar Credit Union Easter Colouring competition presentations, 11-13 years category, l-r; Paula Sheridan, Credit Union, Molly Clarke 1st place, Chloe Connolly 2nd place and Mike Murray, Education Committee. Missing from photo Niall Mellett 2nd place. Photo © Ken wright Photography 2015. 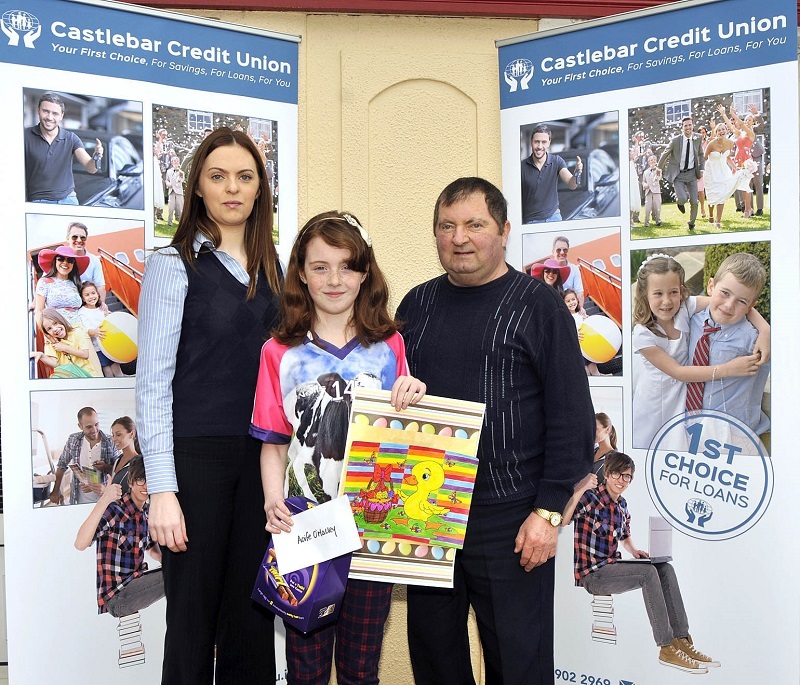 Castlebar Credit Union Easter Colouring competition presentations, 8-10 years category, l-r;Paula Sheridan, Credit Union, Aoife O’Malley 1st place and Mike Murray, Education Committee. Missing from photo Aoife Hannigan 2nd place. Photo © Ken Wright Photography 2015. 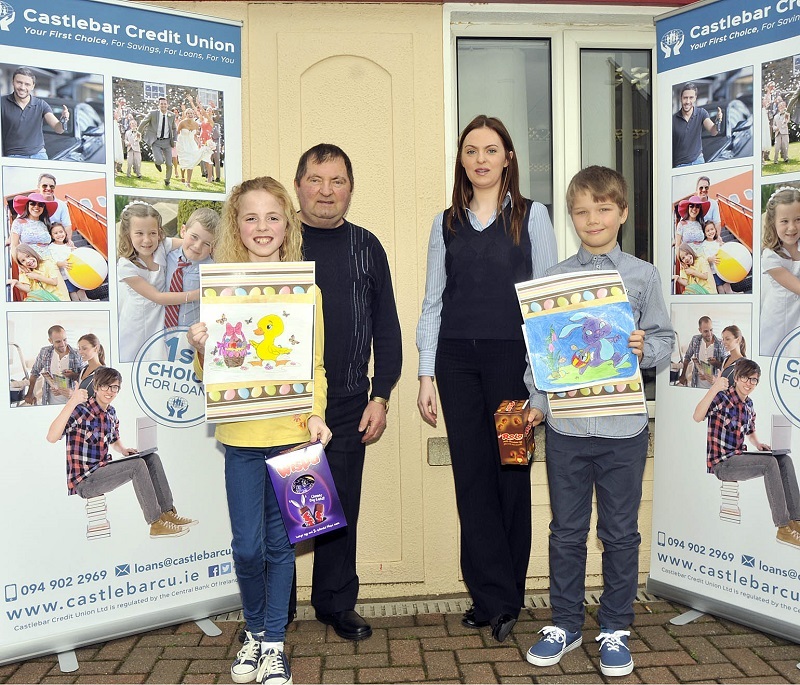 Castlebar Credit Union Easter Colouring competition presentations, 8-10 years category, front Sophie Ralph 1st place and Rowan Naughton 2nd place, back Mike Murray, Education Committee, and Paula Sheridan, Credit Union. Photo © Ken Wright Photography 2015.